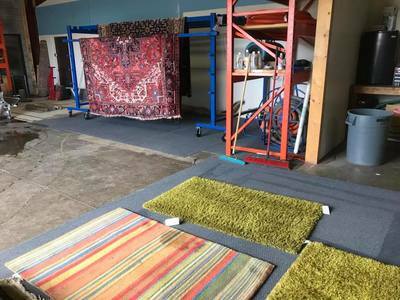 ​We Have Our Own Rug Cleaning Facility! Before you have anyone clean your fine rugs, you want to make sure they know how to clean them correctly. Honestly, most carpet cleaners who claim they can clean your rugs, simply lack the necessary knowledge and proper equipment to do it. In fact, they often times do more harm than good. When dealing with fine rugs, you don&apos;t want to take that chance. At Bruce&apos;s, we know how important these treasures are to your family. We have the proper equipment and knowledge necessary to clean and preserve your precious rugs. 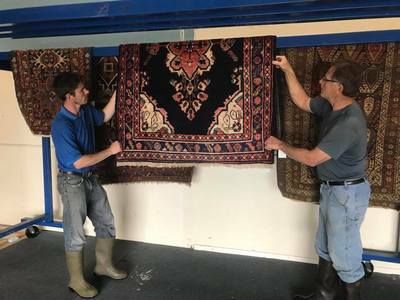 With over 50 years of combined experience, and training by world-renown, master rug cleaners, you can be confident your rugs are in the most capable hands. 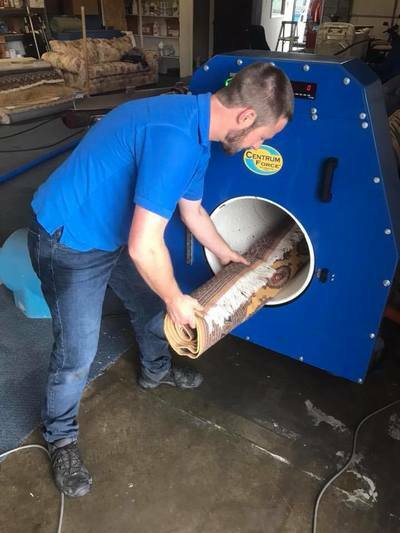 Unique to this area, our dedicated facility combines traditional, tried and tested hand-washing methods with the state-of-the-art rug cleaning equipment of today. ​At Bruce&apos;s, we know how important these treasures are to your family. We have the proper equipment and knowledge necessary to clean and preserve your precious rugs. With over 50 years of combined experience, and training by world-renown, master rug cleaners, you can be confident your rugs are in the most capable hands. Unique to this area, our dedicated facility combines traditional, tried and tested hand-washing methods with the state-of-the-art rug cleaning equipment of today.